As a beleaguered Sukhbir Singh Badal announced on Sunday he was ready to step down as the Shiromani Akali Dal president, “if the party so demands”, the Taksali leaders, the first to publicly express dissent, called the decision “belated”. After paying obeisance at the Golden Temple, Sukhbir met senior vice-president Bhai Manjit Singh at his residence. He was accompanied by SAD general secretary Bikram Singh Majithia. 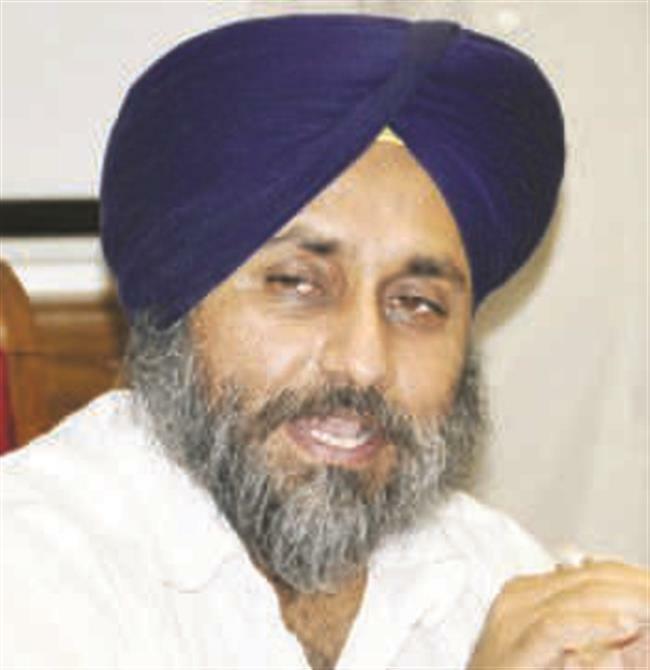 Accepting that the party could not be the “property” of one particular family, Sukhbir reiterated: “I am ready to quit the post, if asked to. Let somebody else lead the party. No individual is bigger than the party. The party is not a personal property." He said the contribution of veterans could not be ignored and he was willing to meet anyone “who invites me”. A section of Akali leaders blame the party’s ignominious defeat in the 2017 Assembly polls on certain decisions by the high command, including the flip-flop on the pardon (later rescinded) granted to Dera Sirsa chief, the inept handling of the sacrilege incidents at Bargari and the Behbal Kalan police firing. Murmurs of discontent within the party became louder after the Justice Ranjit Singh Committee report, pointing a finger at the SAD top leadership, was tabled in the Punjab Vidhan Sabha. Majha satraps Ranjit Singh Brahmpura, MP, Dr Ratan Singh Ajnala, a former Member of Parliament, and former minister Sewa Singh Sekhwan were cautious in their response to Sukhbir’s announcement. “I doubt if Sukhbir will keep his word. Had the Dera Sirsa, Bargari and Behbal Kalan issues been discussed at the core committee, the party would not have come to such a pass,” remarked Brahmpura.